It's that time again — though it seems slightly later than normal — with the NPD figures emerging to show overall games industry sales for March in the U.S. As often happens, Nintendo jumped ahead of the game earlier this week to tell us some impressive sales figures for the 3DS eShop and its software, but now we have a broader, more conclusive picture for the last month on the high street. Well, sort of. On the software side we can report the happy news the physical U.S. sales of Luigi's Mansion: Dark Moon to date, of 365,000 units — 415,000 is the total including downloads — have helped the title to be the 6th biggest selling in March; with consideration that it only arrived on 24th March, that's impressive. Considering the fact that it's widely agreed to be rather rubbish, the presence of The Walking Dead: Survival Instinct in 9th place is disheartening, as is the news that even with 3DS and Wii U sales combined, Monster Hunter 3 Ultimate didn't make it to the top 10. It's worth noting that this NPD top 10 only accounts for physical sales. Total industry spend of $992.5 million in the region was 10% lower than the equivalent month last year, mainly due to hardware drops, but one positive is that software sales showed small growth for the first time since November 2011. In terms of hardware sales, meanwhile, only Microsoft has revealed figures at the time of writing, though we expect reasonable results for 3DS — based on Nintendo's positive noises this week. We're not sure the news will be good for Wii U, however, especially in light of Reggie Fils-Aime's recent comments about a slow pace of game launches, and the general lack of noise about the console's sales in recent weeks. We will know how Wii U has performed so far in 2013 soon, however, with Nintendo scheduled to release its yearly financial results next week. We'll provide full coverage here on Nintendo Life, of course. Just played the Luigi demo in Target for a good 10 or 15 minutes and it looked great. My only dislike was the X+B buttons for looking up and down, could have really used a 2nd thumb nub, but it was serviceable. Moving the 3DS around helped while vacuuming, which of course made me think it would be more fun on the WiiU Gamepad. May need to buy a 3DS XL when Dream Team comes out. Maybe we'll get a better branded one than that green Luigi siloutte. Monster Hunter didn't make it? Blacks Ops 2 is still there?? My own country has betrayed me. Funny, I don't like any of those other games...although if my friend ever bought Naruto I'd probably play it with him. I know people that couldn't even find a copy of Luigi's mansion. I'm wondering why these games are running out so soon from retailers?! It also explains a recent increase in dl retail but that might just start ticking people off. I happily dl-ed it but I'm sure some felt forced! I'm glad LMDM is doing well here too like it is in Japan. I pre-ordered rather than downloaded because I've already attained platinum status on Club Nintendo. Glad I got the retail version as I really like the box. Monster hunter had no chance. Even being on 2 systems does not change they are not the highest selling systems now.The walking dead game is bad but no reviews were out until later in the week so people did not know it was bad. At least luigi made it. I am going to have to get that game soon. Decent bump for the 3DS I think? Monster Hunter 3 Ultimate (Wii U + 3DS combined) is higher than Lego City but also under 130k. The Wii U version alone sold 45k though. Need for Speed was first reported at being around 10k, but it's since been said it's more like 6k. Just for comparison, Bioshock Infinite did 878k (physical only), Tomb Raider did 620k (physical only), Gears of War: Judgement did 620k (physical only) and God of War: Ascension did 570k (physical only, not include console bundles). It should never be expected that Wii U games sell like that, but it's just for comparison. Next time someone accuses a publisher of not putting their big game on Wii U, remember this, because a PS3 exlcusive just sold 570k copies in 3 weeks, a 360 exclusive sold 620k in 2 weeks, and even though Need for Speed Most Wanted got better reviews than both of them, on a system going through a drough... it sold 6k in 2 weeks. It's not great news for the Wii U. Sales of Individual Kinect hardware (not consoles + kinect) was apparently double the Wii U sales, but in a way I'm kind of glad that Nintendo are being sent the message that they can't launch a console with so few games and expect it to be a success. They need to work at it, like they have done with the 3DS and then it will sell well. I'm sure things will be a lot more rosy by the end of the year. We'll have Pikmin 3 and Mario Kart at the very least, and that's going to tempt a few more people, although I think it's going to take 3D Mario and a new Zelda before the sales explode. I think this could be good for us Nintendo fans too, because Nintendo will not coast through this generation like they did with the Wii. Their backs are against the wall, and that's when we see the best from Nintendo. @HeatBombastic Monster Hunter was only out for a Week. Black Ops 2 was out all month on 4 Platforms. Also, Keep in mind. 70 Million People have PS 70 million people have Xbox, 4 million people have Wii U. @MasterWario Same here. Seems like a boring list of games there to play. I was under the impression that the reason the Wii U sales weren't being spoken about was because they weren't quite as bad as people were expecting. It doesn't really matter now anyway because we've got a nice summer to look forward to where we can save money for the avalanche of games coming this xmas! It would come as no surprise to me, that if the Wii U had an amazing month, Pachter would just stay silent and nobody would make a big deal about it. You can't blame consumers for not buying it. Luigi's Mansion 2 and Fire Emblem Awakening were great games and they sold well. There's just not enough about the Wii U currently to entice people. Most gamers already have a 360 or PS3, so for a start, most of those people are going to ignore all the ports. What does that leave us with? Another 2D Mario, an Ultimate edition of a Wii game, and a Lego game. I don't blame anyone for not being excited in that when stuff like Bioshock Infinite is out on the other platforms. I have total confidence that when games as good as Luigi's Mansion 2 and Fire Emblem appear on the Wii U, things will really pick up, but it's so annoying to read people blaming consumers for this situation. If they dropped the price of a console to £50 I still wouldn't pick one up now because there's literally nothing I want to play on it, compared to what's on other consoles, but I'd happily spend the £200 if I could also pick it up with 4-5 great games that interested me. @Peach64 I agree with you even though I am an owner of a Wii U, there's really no rush to obtain a Wii U at the moment. On a Positive note it looks like the Wii U is going to overtake the PS Vita in sales in a few months. Two really good arguments by idork99 and Peach64, though I can't help but lean more to idork99's point of view. In the end however, I really fell it's just people's different interests. I enjoy cartoony, brightly colored games, so I have many more Nintendo games and consoles than anything else. I have friends that like dark and realistic games, though, and they think I'm less of a gamer, or have less game experience because of my interest in games. That can get annoying at times. 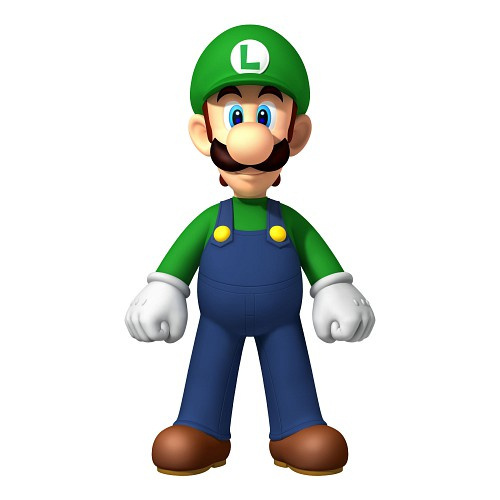 Go Luigi..it's your time to shine. Very happy for Next Level Games too. Luigi's Mansion 2 is still on top of the Dutch Game Chart. Three weeks at the top of the all platform list. Awesome. The WiiU problem is not 3rd party games, it's first party. If you look at Wii, DS & 3DS you can graph success of the system against the frequency of Nintendo launches. DS started slow and went crazy when there was ~1 game/month from Nintendo. The Wii came out of the gates strong...with tons of Nintendo games alongside it. 15 games in its first 18 months including Smash, Metroid, Zelda, Wii Sports, Mario Kart, Mario Galaxy, Wii Fit (EVERY major Nintendo franchise and a bunch of other titles). The 3DS stumbled out of the gate, b/c it went 6 months with no Nintendo titles. It is now on fire, interestingly enough as we've been getting a major release EVERY other MONTH! The WiiU has had 4 months of no new Nintendo titles. There isn't anything planned until June. The launch calendar is very barren of Nintendo titles. THAT is the problem. If they'd released 6 games in 6 months it would be selling well. It's not about 3rd party - Nintendo has had GREAT 3rd party support on WiiU. As an aside I'm disappointed that Most Wanted U did so poorly. I really like playing it with the WiiWheel. Did anyone expect Wii U to shift a crazy amount of units? The purchase has to be completely justified with a game or a couple of games in this economy and they just aren't there yet for the bulk of everyone.